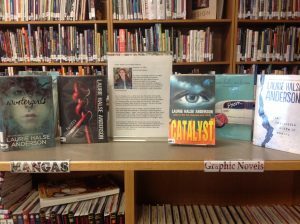 Come check out a book by Laurie Halse Anderson this month! to find out what Textbooks you have checked out. Go hear to search libraries within the Salem-Keizer School District. All Oregon Major Newspaper – Follow this link to 50States.com that and view a list of newspapers throughout the state of Oregon and links to each newspapers website. Go to Chemeketa Cooperative Regional Library Service (CCRLS) to connect with libraries in Marion, Polk, and Yamhill counties of Oregon. 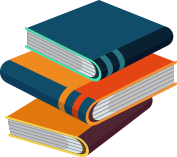 Your library card allows you to borrow materials from any CCRLS member library. Answerland is an online reference service for librarians to help Oregon residents with research guidance. Student Resources in Context – Start here. Gale – A database collection of newspapers, magazines, journals, periodicals, and more. Discovery Education – Use this link at school for videos and you won’t need to log in. Hatnote – Worldwide, real time, Wikipedia edits – in sound! Mental Floss Magazine Online – Random, Interesting, Amazing Facts. Fun quizzes and trivia. Salem Public Library – includes information on their computer labs, study areas, homework and research help, multimedia collections, and the latest online resources. Multnomah Public Library – includes information on e-books, thier research and homework center, events, and more. Citation Maker – Oregon School Library Information System’s handy tool for creating citation based on MLA rules. Learning Express – Preparation resources for trade schools, college, and work skills.